(Newport, Oregon) – Did Sir Francis Drake actually drop anchor off the central Oregon coast and not California? Was his real place of anchor covered up – and why? And is that mysterious shipwreck just north of Lincoln City connected to him? (Above: Whale Cove near Depoe Bay). 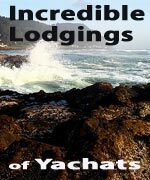 These questions and more will be addressed by central Oregon coast historian Bob Ward at a special presentation this weekend in Newport, at the Pacific Maritime & Heritage Center. The talk happens on March 9 at 5 p.m.
Tangible proof of exactly where he landed remains elusive. While not universally accepted, the consensus among historians is that Drake landed in a cove now known as “Drakes’ Bay” north of Golden Gate in Marin County, California. Over twenty other locations have been advanced as Drake’s port, including the Manzanita area of the north Oregon coast. Wherever the site of Drake’s landing is, marks the birthplace of what was to become the British Empire. Local historian Bob Ward, founder of the Drake in Oregon Society, has spent over 30 years researching Drake’s voyage. At his Newport appearance, Ward will make a compelling case for Whale Cove, just south of Depoe Bay, as the location of Drake’s landing. Ward will document the veil of secrecy around Drake’s voyage. When the official account of the voyage was released almost ten years later, it placed Drake's anchorage near San Francisco. Bob Ward will present evidence that the official account was deliberately falsified in several places to keep secret Drake's search for the Pacific entrance to the fabled Northwest Passage. Ward also reveals his plans to excavate what he thinks may be a small Spanish ship that Drake captured off Costa Rica. Ship and crew were to resume searching for the fabled passage after wintering on the Oregon coast. Bob explains how the wreck of this ship came to be buried beneath a tidal mud flat near the mouth of the Salmon River, just north of Lincoln City. 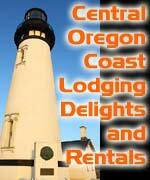 The Pacific Maritime & Heritage Center, is at 333 SE Bay Boulevard, Newport, Oregon. 541-265-7509. 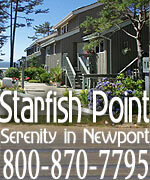 More about Newport at the Newport, Oregon Virtual Tour, Map. Below: historic Whale Cove photo courtesy Lincoln County Historical Society.